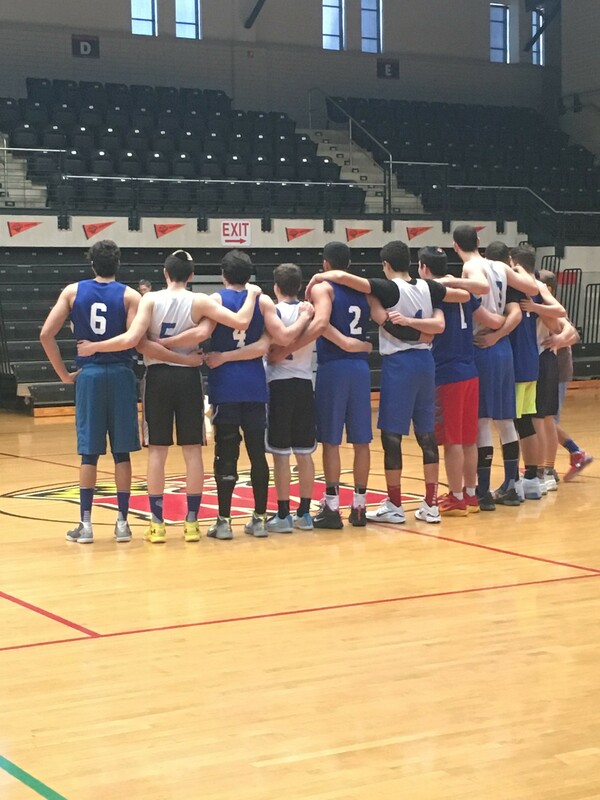 After Friday and Saturday’s festivities, it was championship day at the National Hillel Basketball Tournament. The men’s portion was an afternoon matchup between two different teams from Yeshiva University Sunday. Five teams, Sokol, Weiss, Ammar, Laifer and Marouani, all from Yeshiva, showed promise during the tournament. Three of the teams made it to the semifinals with Weiss and Ammar advancing to the championship – the Ammar team also took home the title in 2016. “YU has definitely taken over the tournament over the last couple years,” Mai Shachi, director of human resources and hospitality for NHBT, said. Fans seemed torn between the two teams as the close match proved exciting for all in attendance. The first half saw Ammar with a ten point lead as team members were working to get the energy up on the Ritchie court. Ammar continued to lead into the second period – a score of 31 to 21 at that point. But Weiss seemed to find its groove halfway through the second period – working to cut its ten-point deficit in half. By the end of the second period, the game was a lot closer and tension was high between the friendly Yeshiva rivals. A new back and forth between the teams during the last minutes proved more exciting for fans as they would cheer with every comeback shot made by the Weiss team. The second period ended in a series of missed three-pointers by Weiss. By the end past champions YU Ammar took the title with a close score of 51-48. “We are back to back champions!” Ammar’s Bar Alluf exclaimed as he won the title of Most Valuable Player for the men’s side. With this signifying the end of the tournament, it seemed bittersweet for all who were involved in planning. For NHBT Operations Manager David Stein the ending of the weekend was a time to reflect. “For everyone at Maryland Hillel who works so hard to provide support for Jewish programs and for everyone on my team, I’m so grateful and proud of what we have accomplished,” Stein said. No Replies to "Yeshiva University takes home back to back championships at NHBT"